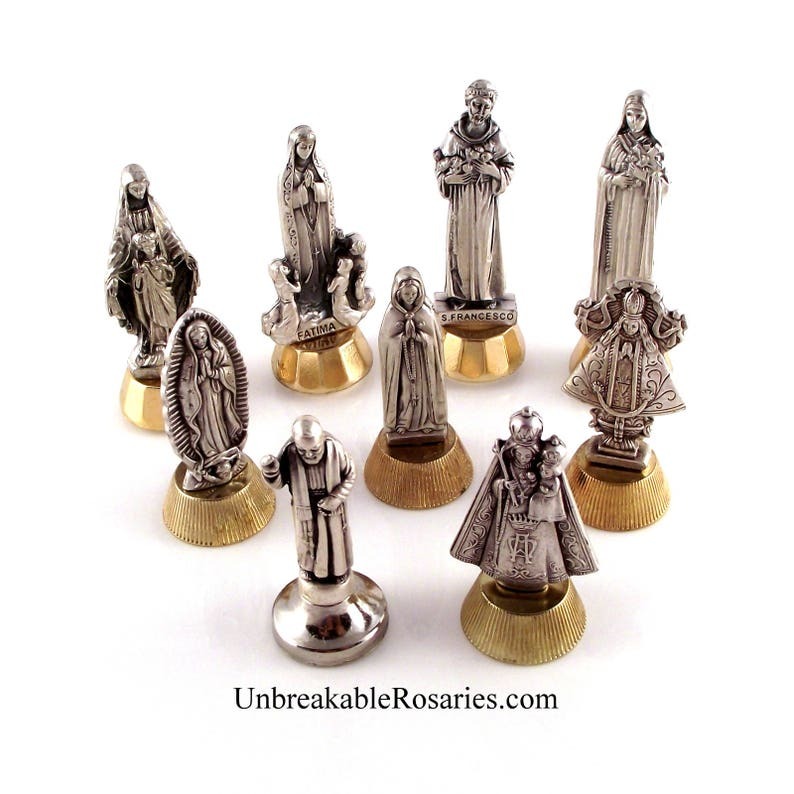 Awesome mini saint statues for your car dashboard, home shrine, nicho, or just to carry in your pocket. These were made in Italy and measure between 2"-2.75" high. The base of each is magnetic and there's also a peel-and-stick foam adhesive on the bottom. Very sturdy and beautifully detailed. The numbers in the second photo correspond to the ordering numbers. 1: Blessed Virgin Mary with the Child Jesus. 4: Saint Therese of Lisieux, "The Little Flower"
Very nice quality item - shipped fast. Just as described and shipped very fast! Fast friendly service. I love my mini Virgencita!